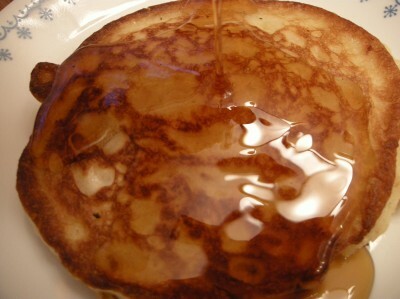 Today is National Pancake Day, concluding February’s National Hot Breakfast Month and all the sales that went with it. Pancakes are a breakfast staple for many families, and there are as many ways to serve them as there are recipes. I especially like my Whole Wheat Pancakes (with variations) recipe because it produces a healthier pancake that is really thick and filling. We love to top them with real maple syrup and fruit. 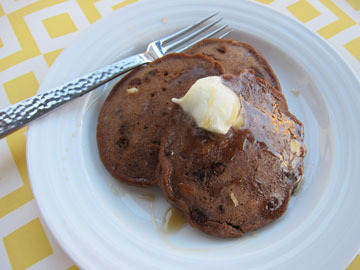 These Apple Cider Pancakes created by my friend Erin over at $5 Dinners look incredibly tasty! I am an apple fan. If you are too, you might want to try these today! Very simple to make, too. 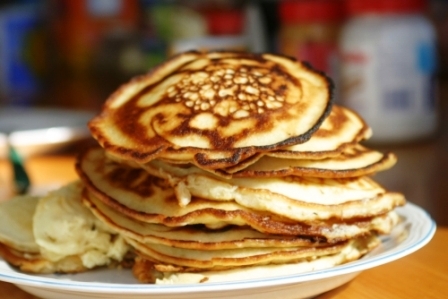 You really haven’t ever had a pancake until you have had a traditional buttermilk pancake. My friend Christy Jordan over at Southern Plate declares (and if you are a southerner, you don’t just “say” something, you “declare” it, LOL) these are the very best pancakes ever. 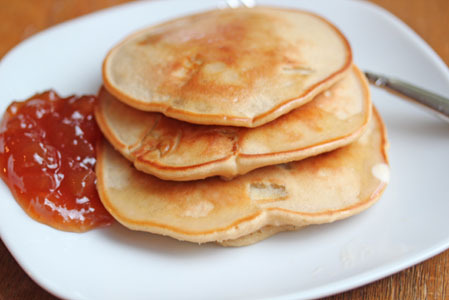 Be sure to check out my post, “How to Make Your Own Bisquick,” for an easy pancake mix and recipe you can make to celebrate National Pancake Day today. Don’t want to make your own? Head over to IHOP today only, February 28th, for a FREE Short Stack of pancakes! Are you a pancake lover? How do you like to serve them? What are your favorite toppings?